The no obligation phone consultation service applies to both residential and business customers in the South London area. No mouse control job is too large or too small for us to evaluate. Where appropriate we are able to advise on any instant action needed to safeguard your health, property or belongings before a visit. 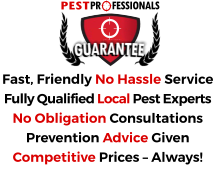 If a visit is called for we let you know if there will be a call out fee as well as suggest on the likely prices of any mice control work should it be called for. The mouse is perhaps small but can cause big problems as mice are remarkably destructive. Anyone who has had mice in their garage or shed will testify as to how costly their gnawing habits are, and how rapidly sizable colonies can establish. Mice also carry and spread diseases such as salmonella and must be dealt with when in near contact with people very quickly. Ordinarily speaking we are most likely to come across the House Mouse, which has a brown to grey back with a lighter underside and a tail a little shorter in length than its body. They only live for a few months, but are sexually mature within eight weeks and will have several litters in their lifetime. They normally nest indoors and are excellent climbers. In addition to damaging property, they frequently gnaw through electrical cables and are the cause of numerous house fires as a result. A professional baiting, trapping and proofing service is usually required to eradicate the problem. The first job of the pest controller will be to try and pinpoint where the mice are originating from. After this is found, the pest controller will look at proofing techniques with you, before commonly carrying out the use of a combination approach pairing trapping with slow acting rodenticides in tamper resistant bait stations. 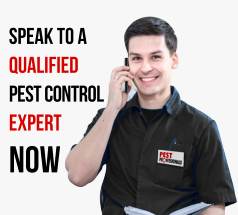 If you require sound advice or a swift solution to a mouse problem anywhere in South London or the surrounding Boroughs – speak to us.